Posted in: 1 Pageant Pages, 2 Shout-out-Looks. Tagged: Bb. Pilipinas 2018, Eva Psychee Patalinjug, Miss Grand International, Nadine Lustre, Nawat Itsaragrisil, Wynonah Buot. There is intriguing talk on social media about the answer given by your newly-crowned Bb. Pilipinas Grand International 2018 Eva Psychee Patalinjug as a “copy” of actress Nadine Lustre’s post June 12 of last year during the Philippine Independence Day for Mega Magazine. All I can say is that the Cebuana took inspiration from the message, and instead of giving it her own spin (that could alter the entire thought depending on the words used), she recited choice parts that sounded “memorized” to everyone. As someone conducting pageant workshops on Q&A, I never encourage memorization. But I don’t restrict it completely as well depending on the capacity of a trainee to think more spontaneously. In Eva’s case, she could have simply quoted it. After all, Nadine Lustre is a popular name and figure in the Entertainment Industry. If Wynonah Buot can specify host/actress Toni Gonzaga as a source of admiration, then I won’t find fault in the former using Nadine as inspiration for her answer. But that controversy will die down in a matter of days, and Eva will continue with her reign. I reckon that Miss Grand International owner Nawat Itsaragrisil has already given his thumbs up to her selection (photo below) as the Philippine rep to his pageant. Breaking News: Our Bb. Pilipinas Tourism Queens will compete abroad! Posted in: 1 Pageant Pages, 2 Shout-out-Looks. Tagged: Ann Lorraine Colis, Bb. Pilipinas 2015, Bb.Pilipinas Tourism 2015, Miss Grand International 2015, Nawat Itsaragrisil. Bb. Pilipinas Tourism 2014 Parul Shah will be the Philippine representative to Miss Grand International 2015 in Bangkok, Thailand, while Bb. Pilipinas Tourism 2015 Ann Lorraine Colis will travel to Toronto, Canada for The Miss Globe 2015. Both competitions are scheduled this coming October. In an exclusive Press Conference called upon by Bb. Pilipinas Charities Inc., select members of the media have been invited for the very special announcement made by Madam Stella Marquez de Araneta herself. Both Parul and Ann will have their hands full within the next month preparing for their respective competitions which will require them to be in the host cities soon. Patience has its rewards for the former as she waited long and hard for the opportunity. And for the latter, this means that she will be the first among our Bb. Pilipinas 2015 Queens to start with her overseas pageant mission, ahead of Bb. Pilipinas International 2015 Janicel Lubina by a month. Posted in: 1 Pageant Pages, 2 Shout-out-Looks. Tagged: Bb. Pilipinas, John dela Vega, Miss Grand International, Nawat Itsaragrisil. Bb. 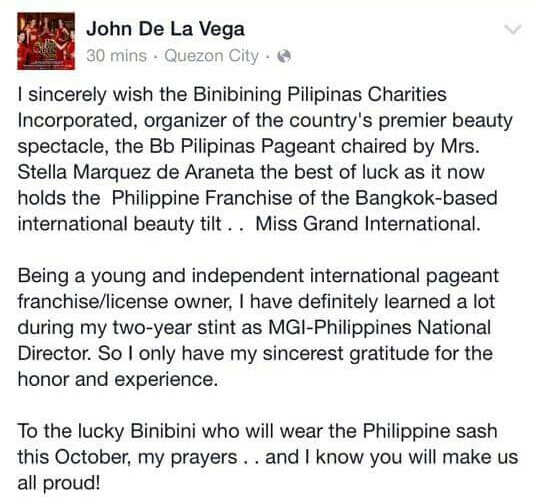 Pilipinas Charities Inc. is the new franchise holder of Miss Grand International and John dela Vega made it loud and clear in his Facebook status update above. 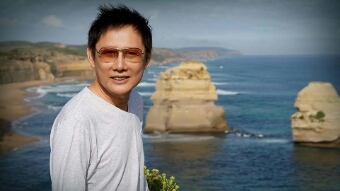 John did the honorable thing and released his hold on the Thai-owned international beauty pageant. Pageant owner Nawat Itsaragrisil must be feeling a lot of relief now. The ball is now on the court of Bb. Pilipinas. 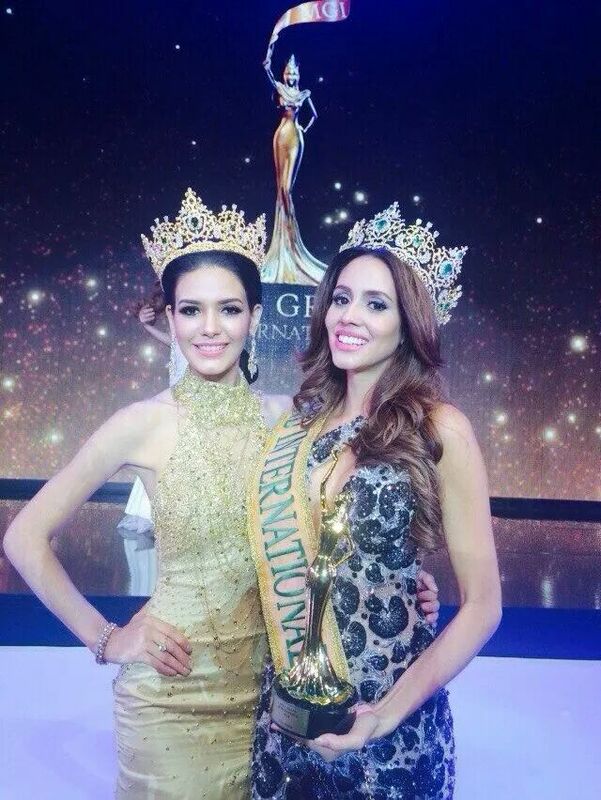 The question is, who will be sent to Miss Grand International 2015? Posted in: 1 Pageant Pages, 2 Shout-out-Looks. Tagged: Ann Lorraine Colis, Bb. Pilipinas, Hannah Ruth Sison, Miss Grand International, Nawat Itsaragrisil. Last Thursday night in Bangkok at around 10am in the Land of Smiles, the Thai owner of Miss Grand International – Nawat Itsaragrisil – uploaded an image of the Bb. Pilipinas logo on his Facebook account. It was enough to send tongues wagging from Manila to Mainland USA. What is his purpose of doing so? 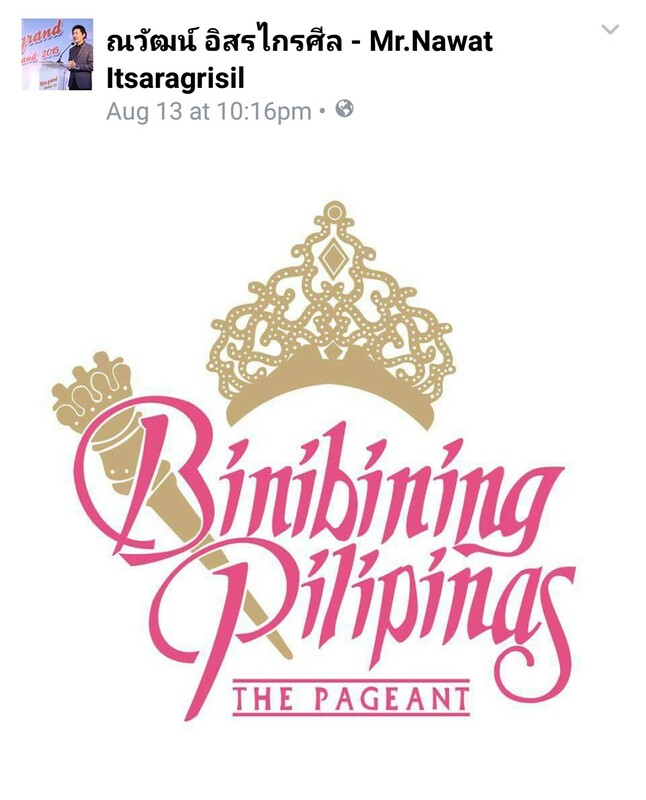 Why make a post that he knows will send shock waves of rumor milling among Filipino pageant fans in particular? Is he trying to imply that negotiations are in progress with BPCI for his contest to be included among the titles of Bb. Pilipinas? First off, that account is Nawat’s real Facebook presence. Unless it was hacked by playful souls, the sudden appearance of the said logo could mean a lot of things, both good and bad. The bad part is that there is a current franchise holder of Miss Grand International in the country, and that is John dela Vega who is coursing the winner of Miss Grand Philippines 2015 via the TV reality program “Pinay Beauty Queen Academy” on GMA News TV. The good indication is that if he is indeed making an effort to penetrate Bb. Pilipinas, then a relatively more reliable title could be added to the list of national crowns. The question is when? This year or next? 2016 is a more feasible option. Doing it this year will break down the relationship with John dela Vega, not to mention the unnecessary intrigues that will be attached to the same, should any kind of shift persist. The funny thing is the entry of Hannah Ruth Sison in the picture. The Bb. Pilipinas 1st Runner-Up is being informally lobbied by fans as a possible representative to MGI2015. While the idea doesn’t seem far-fetched, I took the liberty of contacting BPCI regarding the rumor. No answer has been given yet. But if push comes to shove, won’t it be more logical to consider Bb. Pilipinas Tourism 2015 Ann Lorraine Colis first since there seems to be no contest being lined up for her yet? Hmmm…. Posted in: 1 Pageant Pages, 2 Shout-out-Looks. Tagged: Daryanne Less Garcia, Miss Earth, Miss Grand Thailand 2015, Nawat Itsaragrisil, Parapadsorn Disdamrong, Sasi Sintawee, Warangkanang Wutthayakorn. Notice the missing pageant logo in the upper left portion of the photo? 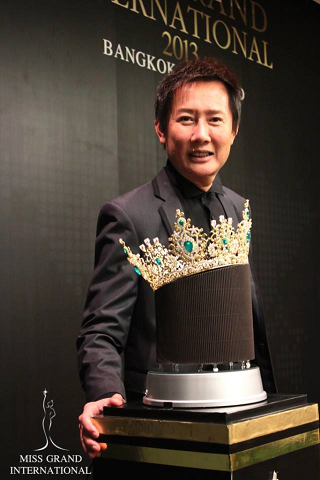 During the recently-held launch of Miss Grand Thailand 2015, there were two (2) noticeable things that stood out. 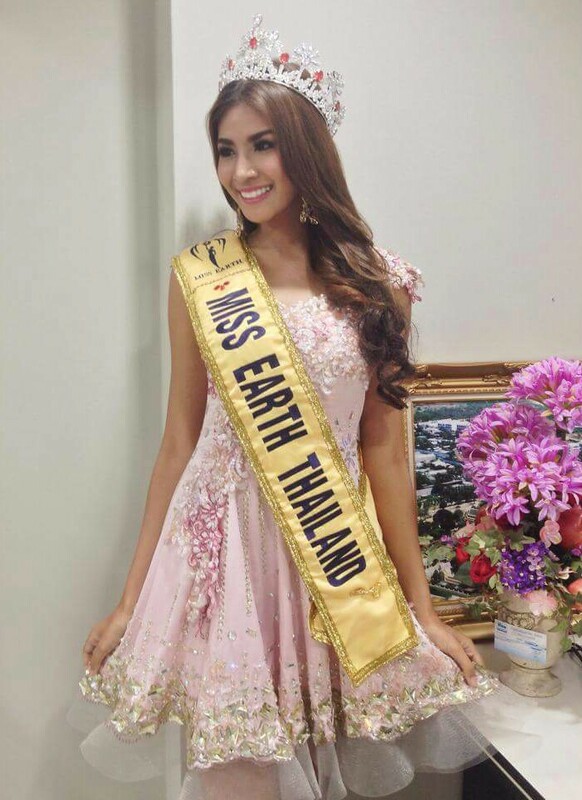 First, Miss Earth Thailand 2014 Sasi Sintawee was not in attendance. Only Miss Grand International 2014 Daryanne Less Garcia, Miss Grand Thailand 2014 Parapadsorn Disdamrong, Miss Intercontinental 2014 Patraporn Wang and Miss Tourism Thailand 2014 Warangkanang Wutthayakorn showed up along with Mr. Nawat Itsaragrisil. Second, the logo of Miss Earth was already removed from the list of international pageants the organization will be sending their future winners to. It doesn’t take a genius to conclude that: 1) they no longer hold the Miss Earth franchise and 2) the presence of Miss Earth Thailand 2014 was no longer required so as not to mislead people into thinking that there will still be one for 2015 coming from their future Official Candidates. I don’t want to hazard any kind of speculation at this point, although it is also possible Mr. Nawat gave up the franchise. But I am not leaning towards that. Suffice it to say that the next representative to Miss Earth from the Land of Smiles could come from a runner-up in Miss Thailand Universe 2015. Otherwise, a new group will be in-charge. Posted in: 1 Pageant Pages, 2 Shout-out-Looks. Tagged: Daryanne Lees Garcia, Janelee Chaparro, Miss Grand International 2014, Nawat Itsaragrisil. Proud of her victory, Daryanne Lees Garcia is. When Daryanne Lees Garcia of Cuba was named Miss Grand International 2014 last October 7, not a few pageant followers raised their eyebrows with the selection. Here is a candidate who took part in and became runner-up (Miss Eco-Tourism) in Miss Earth USA 2014 and held/joined a string of other contests like Miss Puerto Rico Teen, Miss Puerto Rico World 2006, Puerto Rico Model 2007, Miss Puerto Rico Universe 2008, Miss Florida USA 2009, Miss Florida US International 2009 before finally getting picked for the Miss Grand Cuba title and the big one in Bangkok, Thailand. Daryanne's win can also be looked at as some sort of a back-to-back win for Puerto Rico. She is seen here with her predecessor Janelee Chaparro (left). 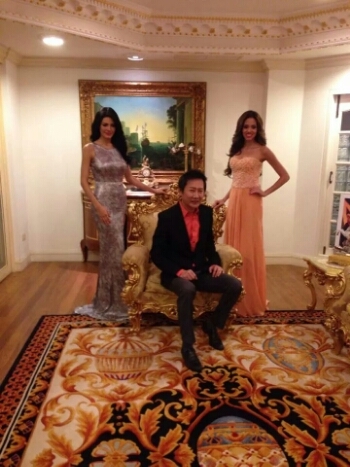 Mr. Nawatt Itsaragrisil (sitting) with his two Miss Grand International winners. You really can’t blame the 27 year-old for wanting to become a full-pledged international winner. Her blood roots may not have played out strongly in all previous outings (since she went for either USA or Puerto Rico). But in the end, her greatest achievement happened for Cuba – a country which does not really hold national beauty competitions in their own backyard. Determination and perseverance could have been the key factors. And MGI owner Mr. Nawatt Itsaragrisil must have sensed the strong qualities that will make Daryanne an excellent successor for Janelee Chaparro. Posted in: 1 Pageant Pages, 2 Shout-out-Looks. Tagged: Angelika Ogryzek, Dayana Delgado, Hiwot Mamo, Indoor Stadium Huamark, Janelee Chaparro, Kimberly Karlsson, Miss Grand International 2014, Monica Castano Agudelo, Nawat Itsaragrisil, Yana Dubnik. While Miss Grand International 2014 was not able to better its inaugural output of eighty-six (86) candidates last year, Nawat Itsaragrisil was still able to assemble a much improved group of eighty-five (85) contenders for 2014. In fact, the interest in the beauty pageant shot up in the eyes of pageant followers around the world that the selection of country reps has always been given more dedicated attention by their respective franchise holders and directors. Here now are the twenty (20) beautiful stunners who, in my opinion, will make the first cut on October 7, the scheduled finals at the Indoor Huamark Stadium. 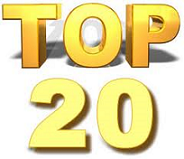 Normally, the six leading contenders above should be clear shoo-ins for the Top 10. But the way I’ve sized up the pre-pageant activities (with some help from actual feedbacks of my various Thai contacts who have followed the daily grind out there), there are those who have really managed to shine a lot better than most of the initially favored reps. One example is Miss Ukraine who has slipped to #11 in my personal analysis. 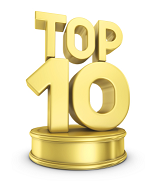 My Top 10, thus, are the stunners pictured in the grid below. But after further review, I decided that my Top 10 will be made up of the ladies in the photo grid above. Who could be Nawat Itsaragrisil keeping his eyes on as the next Miss Grand International? 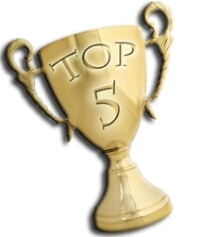 Filtering the Top 10 to a Top 5 can be a tough job. But it has to be fearlessly done. So in no particular order, I am now putting my bets on Yana Dubnik of Russia, Angelika Ogryzek of Poland, Monica Castano Agudelo of Colombia, Hiwot Mamo of Ethiopia and the host entry, Parapadsorn Disdamrong. One of the ladies in this quintet can take it all the way. I’d like to add, though, that Miss Thailand could only go for 1st Runner-Up as her highest possible placement since Nawat Itsaragrisil might not give his thumbs-up to the host delegate winning the title too soon. That leaves the four others as possible winners.